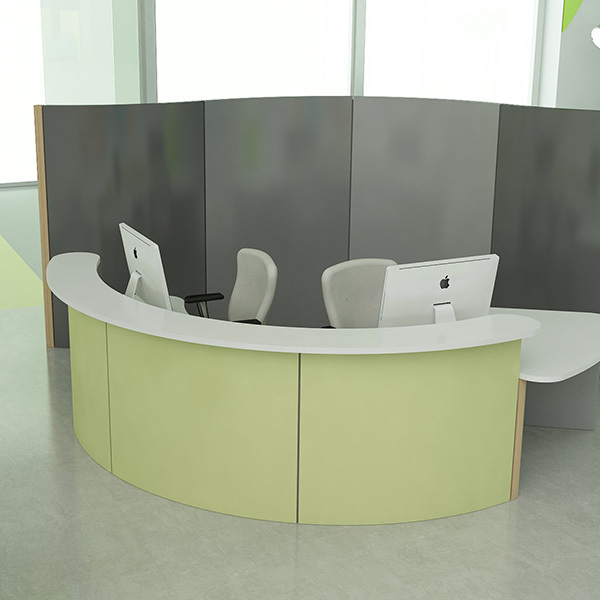 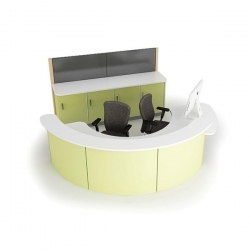 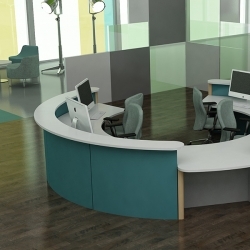 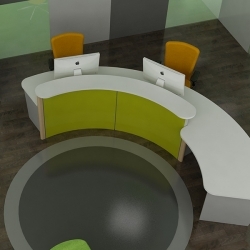 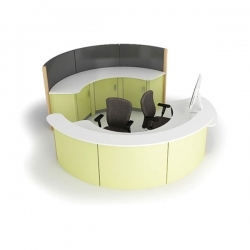 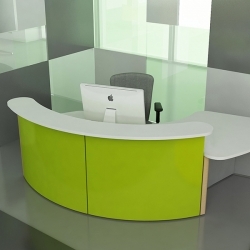 Goldstein is a curved reception desk supplied with both high and low level sign in shelves. It is available with either a linear or curved rear storage unit consisting of worktop and cupboards. 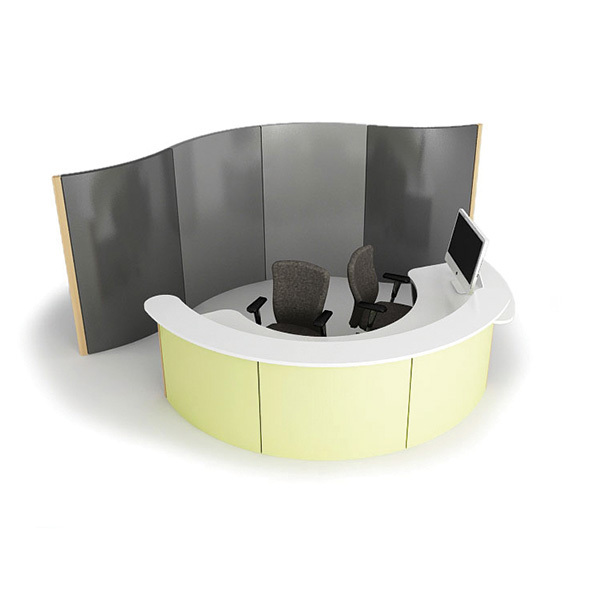 Alternatively a curved screen is available for branding and external expression purposes. 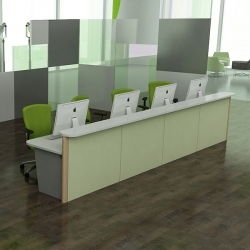 The Goldstein range is a scalable range of products that can be extended or reduced in size to suit individual needs. 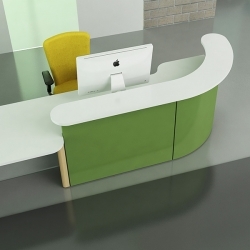 A wide range of additional furniture components can be added to the range to give the Goldstein products much more functionality.